Has your tenancy ended or are you simply moving to a new home? All you want on your mind is starting a new life in a new home. This is not a time to have petty squabbles with your current landlord on something as simple as leaving the home as clean as you got it. Usually you have a very short time to leave and that is why you will need professional end of tenancy cleaning services in Southampton. We say professional because that is what you deserve. 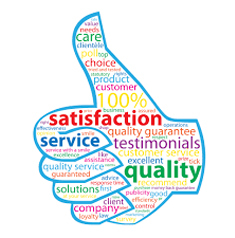 If you are the kind of person that depends on service providers who have only quality services, then we are the ones for you. 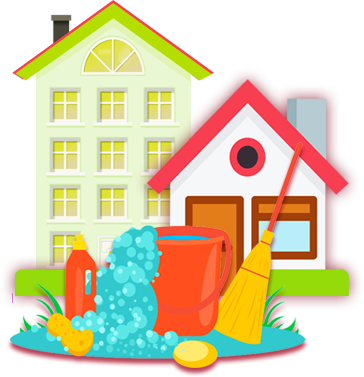 Let’s take a closer look at what we offer in our End of Tenancy Cleaning services. Do you want a more specific rundown of the places we clean for you? We don’t mean just wiping the kitchen we mean thoroughly cleaning to the point you want to continue with your lease. We clean inside and outside the cupboard, all the worktops, all your appliances including the pesky cooker hoods and every other appliance that we may not know about. Of course you don’t want to leave the floors, ceiling lights, tiles, bins or tables dirty, do you? We take care of that for you too. We know you don’t want to have to clean the sinks, toilets, bathtubs or shower cubicles. Imagine having to descale taps, sinks or tiles and removing the mould on your last day in your house. You will forever hate the place especially when you deal with the mirrors, shelves or window sills. It’s only when you are cleaning that you figure out how big your house is. You don’t have to worry about that. Even if you call us on short notice, we shall be there for you. 24 hours’ notice is good enough for us. The house of many rooms doesn’t seem so cute once you have to get down on your knees to clean it up. Our team will do all your carpets and floors. We shall hoover and shampoo your carpets until they are fresh and clean (on request). If you have any lamps or chandeliers, our team will leave them sparkling clean. All you have is give us a call and relax. We shall give you a quote by email and be in your house in the shortest time possible. We work fast and efficiently, even your neighbors will not know we were there. Your skirting boards, picture rails, internal windows and floors are just a few of the areas we are going to take care of for you. We remove the cobwebs, clean the blinds and leave all woodwork shining bright including the doors and door frames. What we guarantee you is that not only will you be happy with our work; your landlord will be extremely surprised at the lengths we go to clean up the house. Why Choose Us for End of Tenancy Cleaning? You can book in the last minute. Just give us 24 hours’ notice and we shall be there to make your move as easy as it can be. We guarantee your satisfaction and your landlord’s pleasure. If the cleaning we do is not up to standard, we shall come back and do it again. We have the best prices in the market. Just call our competitors and see how our rates match up. End of tenancy cleaning doesn’t need to hurt your pockets. You pay on completion of the work. It’s really simple to book our end of tenancy services. Just call us today and speak to our exceptional team members. Or sign up with the form below. We can discuss your solutions on the phone or even better, we can pay you a visit at your most suitable time. We then send you a quote via email. That is the most difficult work you will do. The rest you leave to us and move on to your new home without any issues in your mind.